Lori Batcheller LMT, MPT, MA, CYT-500 is a licensed massage therapist, licensed physical therapist, and certified Kripalu Yoga instructor with over 20 years of experience helping to reduce people’s stress and pain and improve health and well being. Prior to establishing her private practice in Boulder, CO in 2009, Lori worked at Kripalu Center for Yoga & Health–the nation’s largest and most established center for yoga and health–where she offered massage and private yoga therapy in the Healing Arts Department, taught Guest Yoga, instructed writing and intentional collage workshops for Retreat & Renewal, and took dozens of workshops and trainings with world-renowned teachers in yoga and healing modalities including Somatic Mind/Body Therapy, Medical Intuition, Positional Release Therapy, Yoga Therapy, Chakra Yoga, and became a Reiki Master in the Usui tradition. Lori uses a gentle yet effective eclectic approach to inviting the body/mind to release restricted patterns. Committed to ongoing education, Lori has completed over 130 of instruction in Myofascial Release with John Barnes, PT and continues her studies on a bi-annual basis. She has also completed several trainings in CranioSacral Therapy through the Upledger Institute and is also certified in Medical Massage for the neck and back. She served as a teaching assistant for Kripalu’s School of Massage and taught massage and modalities for Fort Morgan Community College‘s Physical Therapy Assistant Program. 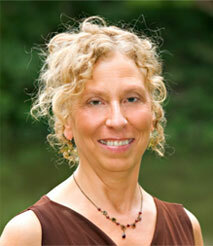 Lori received her master’s in physical therapy from Hahnemann University in Philadelphia (now Drexel) in 1986. She practiced in traditional medical settings for 10 years before shifting her focus to massage and manual therapies. Lori brings an extensive understanding of the body/mind to her holistic practice, including her personal experience recovering from two whiplash injuries through both traditional and alternative therapies and from three pelvic fractures through a gentle manual touch technique and yoga stretching and strengthening. Lori teaches gentle and all levels yoga through Boulder Parks and Recreation. Also a freelance writer with a master’s in Journalism and Mass Education from the University of Colorado, Boulder, Lori writes regularly about disabilities, seniors, yoga, and health and wellness, including articles for Advance for Physical Therapists and Assistants, Health Perch, and Brain & Life (formerly Neurology Now. She is author of several books, including Journaling for Health: Writing Your Way to Physical, Emotional, and Spiritual Well-Being and Alpine Achievement: A Chronicle of the United States Disabled Ski Team.